I'm currently in the process of moving home, which means partaking in the annoying task of speaking to far too many service providers. I just need to vent. I need to vent. I really dislike getting in contact with you. My blood pressure rises and it generally ruins my day. While on hold I thought I would write this (yes, I had that much time). First thing's first - getting through. Making me use the audio selection thingy does not put me in a good mood prior to speaking to an actual advisor. It's no quicker than pressing the dialpad and if I make the call in public, just makes me look like a damn fool. She doesn't understand me, I don't understand her and by the time I get through, you are going to get the brunt of my rage. Her: What's your date of birth? Her: So that's 12/03/2012. Did I get that right? Me: No, you bleeding didn't! Her: I'm sorry, I didn't get that, let's try again. What's your date of birth? ''The approximate wait for your call to be answered is....45 MINUTES" 45 MINUTES? What the hell? You poor thing. Like they don't know it's a recession and this is an 0844 number. You go make a cup of tea. 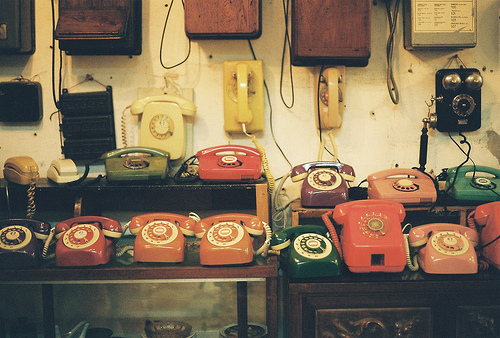 I will MAKE SURE someone will call you back you back at our cost.' You see? Now that's service. When I finally get through, please don't ask me how you can help, allowing me to launch into a detailed account of the issue at hand, only for it to be followed by you saying 'right, so if I could just take your account number first.' Why allow me to get into my flow? Just ask me straight away. I then have to answer security questions. You ask me what my memorable word is. I don't have a memorable word, I only call you once every 18 months and less if I can help it, so why would it be memorable? You tell me I can't write down my security words and numbers anywhere and they shouldn't be the same as I have for other accounts, so please tell me what the heck I'm meant to do? So, I've got through, I've got the security questions wrong (which had to be reset), I tell you my problem and you tell me that I need another department (wtf) where it seems that none of you have the ability to talk to one another, as I find myself going through the whole account no, security, problem scenario - again. And no doubt I'll be transferred one more time, just for the heck of it. When I've been on the phone and explained my issue three times to three people, and have taken temporary respite from my anger to think, 'crap my mobile bill is gonna be high this month,' don't try and tell me that you can't make outgoing calls when I ask you to call me back, because we all know you're lying. If I kick up enough of a fuss (and as a seasoned pro - I do), and ask to speak to the manager, you, miraculously become able to call me back. Come on people, these things are simple! If, as you like to harp on about, your customers are the pinnacle of all importance, and customer service is key, then you need to take heed. Are any of these things really rocket science? But as my dad always says, common sense is not common. could this be a BT issue? I had BT and it was an utter living hell, it took me months and hours and hours to try to stop them charging me something that i never ordered.It made me cry with rage and i have never been so rude to anyone! !aaaah!i feel for you,i really do.we are at their mercy!!! It's all of them! I can't distinguish between the rubbish call centres!